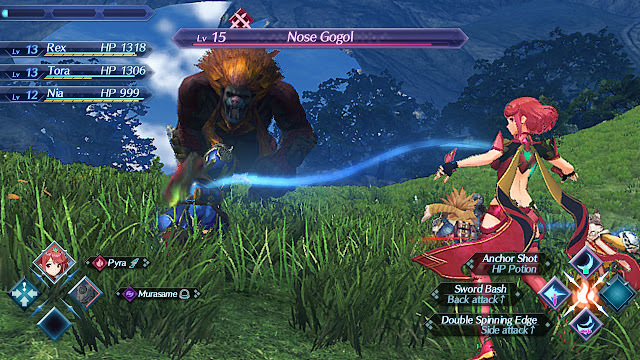 Home Did You Know Xenoblade Zelda Where Did Monolith Soft's Staff Go After Xenoblade Chronicles X? After their work wrapped on Xenoblade Chronicles X, part of the main Monolith Soft development team moved on to working on Xenoblade Chronicles 2. Meanwhile, another few members began lending their expertise to the The Legend of Zelda: Breath of the Wild to help with design work on that game. Here’s the thing though: Objectively speaking, while Xenoblade Chronicles 2 is a competent game, it isn’t anywhere near as ambitious in scope as Xenoblade Chronicles X, nor as polished from a tech standpoint. In terms of design, it lacks X’s three-layered approach to exploration (first on foot, then via vehicles, and finally by flight). It lacks that game’s extremely flexible and customizable Class system. It lacks the mech component and the extensive customization associated with that. It lacks the arms manufacturer system. It lacks customizable characters and armour. It lacks multiplayer. It also lacks the striking environment design of Xenoblade Chronicles X, a lot of which came down to its bizarre alien landforms. Finally, in terms of technological prowess, Xenoblade Chronicles 2 is not a well-optimized game. It suffers from extreme resolution-scaling in portable mode, with the resolution often dropping as low as 432p or even 368p according to a Digital Foundry tech analysis. It also suffers from framerate issues. None of this is surprising. You likely noticed a lot of this coming from a mile away if you’d been keeping an eye on Xenoblade Chronicles 2 prior to release. It was always quite evident that the game wasn’t allowed the same budget and level of polish that Xenoblade Chronicles X was, and a look through the game’s staff credits confirms beyond a doubt that a number of staff that worked on X did not work on 2. In fact, the majority of Xenoblade Chronicles 2’s credits involve a long list of outsource studios, with what seems to be a much smaller core team working on the project internally at Monolith Soft. So, the question now is: where did the rest of Xenoblade Chronicles X’s incredibly talented staff go? This is something I began researching a week or two ago, following suspicions that the majority of the team was obviously not working on Xenoblade Chronicles 2 and most of them may, in fact, have been moved to The Legend of Zelda: Breath of the Wild instead. While I was at it, Monolith Soft’s creative director, Tetsuya Takahashi, happened to shed some light on this in a recent conversation with Persona 5 director Katsura Hashino on Denfaminicogamer (via Siliconera). The first of Takahashi’s comments sheds some light on why Xenoblade Chronicles 2’s user interface isn’t quite as polished. So, where did so much of the Xenoblade Chronicles X staff end up going after that game? In 2016, Nintendo revealed that members of Monolith Soft were helping with the developing of The Legend of Zelda: Breath of the Wild. Takahashi confirms this, and also confirms something I’d already researched in preparation for this article—that a lot of the staff from X was moved to Zelda rather than Xenoblade 2. “Monolith Tokyo has a little less than 100 developers,” Takahashi shares with Hashino. “Of that group, between 50% to 60% was helping Nintendo with Zelda (Breath of the Wild). Of the remaining 40 to 50 people, several were part of R&D (Research & Development), and the Xenoblade Chronicles 2 staff was made of the remaining 40-plus members. However, we couldn’t make it with just these members, so we outsourced then revised what we got, and that was the flow of things. Sorting through the credits of these games, I discovered a couple of weeks ago that around 160 people worked on core facets of Xenoblade Chronicles X’s programming, design, art creation, and cutscenes. Note that this doesn’t include everybody that worked on the game—just the core staff. We now know that only 100 of these were internal Monolith Soft employees, while others were contract or outsource employees. Around 45 of these employees went on to work on The Legend of Zelda: Breath of the Wild, which lines up with Takahashi’s statement. For example; a bunch of Lead Level Designers that were responsible for Mission and Field design in X are credited for “Game Design” in Zelda. 13 artists that worked on Icon Design in Xenoblade Chronicles X were also given the opportunity to work on dungeon and landscape art in Zelda. Meanwhile, 9 environment artists from Xenoblade Chronicles X that worked on background modeling were tasked with landscape modeling and structural art in Zelda. This makes complete sense, given Monolith Soft’s expertise with open-world environment design. Moving along, around 60 of the employees that worked on Xenoblade Chronicles X were involved with Xenoblade Chronicles 2. This includes a few programmers, a couple of battle designers, a few environment designers, and a few character modelers (which were from other companies) and animators. In fact, some of them worked on both Zelda and Xenoblade 2. Now, Takahashi says that just “over 40” of Xenoblade Chronicles X’s staff went on to work on Xenoblade 2, so we can safely assume that a bunch of the 60 in this bracket were, in fact, contract employees and not fulltimers. However, even with these folks all accounted for, we’re still left with over 60 members of the Xenoblade Chronicles X team that weren’t involved either with Xenoblade Chronicles 2 or Zelda. This includes nearly half the programming team (17 Lead Programmers specifically), a large chunk of Lead Battle System Designers (7 of them specifically), and an equally large chunk of Lead Level Designers (6 of them). This is in addition to a number of UI designers, environment artists, creature designers, visual effects leads, technical artists, and more that are missing from the credits of both Xenoblade 2 and Zelda. So, where have these 60 missing members of staff gone? My guess is that these members of the staff were contract employees that parted ways with the studio once development on Xenoblade Chronicles X wrapped, which is the norm. Alternatively, they’re working on the new Monolith Soft fantasy project. Last year, Monolith Soft announced that they’ve been hard at work on a new “ambitious project that is different from Monolith Soft’s brand image” and is being designed with global appeal in mind. The studio is presently hiring character modelers, character control programmers, designers, project managers, technical artists, and even network programmers to work on this game. That last position implies an online component of some sort, and the way Monolith Soft describe this game makes it sound like something that’s much more in line with the scope and ambition of Xenoblade Chronicles X than the more conservative approach of Xenoblade Chronicles 2. That’s not all, though. In a separate hiring drive prior to the aforementioned one, Monolith Soft also specified that the kind of staff they’re looking for would be familiar with action games, online games, pop-culture, and with fantasy / medieval settings. 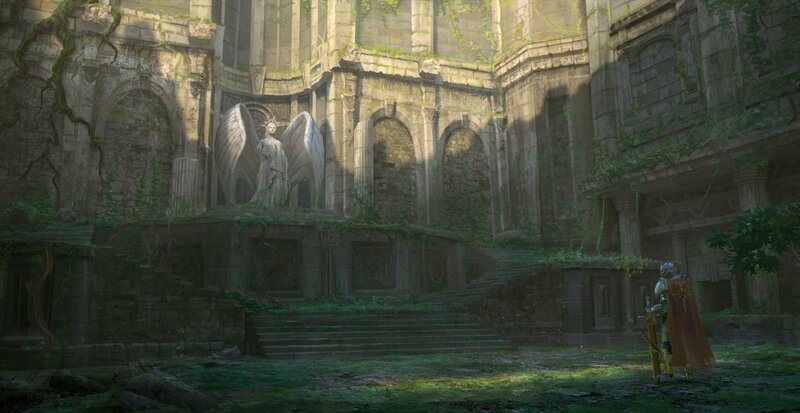 Alongside their second hiring drive, Monolith Soft shared the images you see above—obviously to give potential applicants some idea of the “vibe” of this new project. Putting all of these information together very strongly suggests that Monolith Soft are working on some sort game action-intensive game in a fantasy setting with an online component. That certainly does sound different from their “usual brand image,” which has thus far primarily involved role-playing games in sci-fi settings. 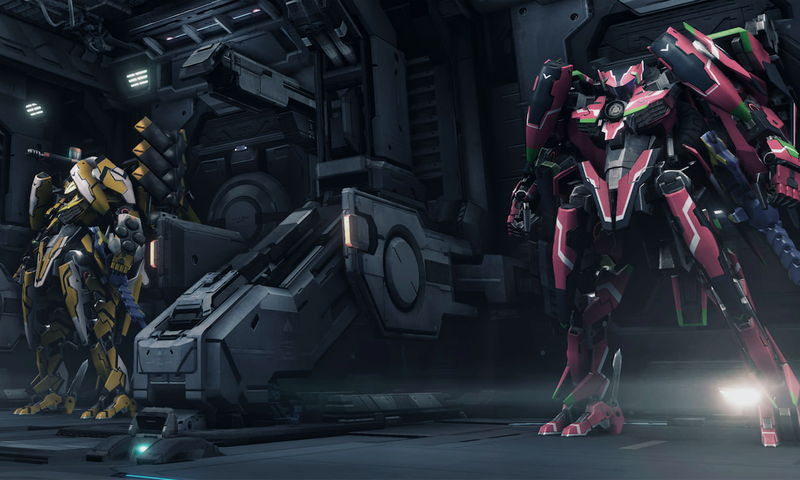 Now, it’s easy to assume that the missing 60 members from the Xenoblade Chronicles X team have been working on this new project since 2015—and people have made that assumption—but that isn’t necessarily true. That having been said, it would make a lot of sense for the very talented team from Xenoblade Chronicles X to be retained in some manner for Monolith Soft’s next major project. It makes sense logistically, and these are people that the studio knows they can rely on to deliver great work. Hopefully, we learn something more about the new project soon, and who exactly is working on it. It sounds fascinating, and I’m incredibly curious to see what the team that brought us a game as ambitious in scope and as polished as Xenoblade Chronicles X will do next. A version of this article first appeared on SourceGaming.